To celebrate the release of WONDER WOMAN on June 2, Rob tackles two titanic treasuries starring the Amazing Amazon, featuring three titanic guests!! First up is FAMOUS FIRST EDITION #C30: SENSATION COMICS #1 with guest Diabolu Frank (DIANA PRINCE: WONDER WOMAN PODCAST), followed by a look at ALL-NEW COLLECTORS’ EDITION #C54: SUPERMAN VS. WONDER WOMAN by Gerry Conway and Jose Luis Garcia Lopez with Angela, host of the WONDER WOMAN: WARRIOR FOR PEACE podcast! We wrap up with a chat with comics legend Gerry Conway! Images for FAMOUS FIRST EDITION: WHIZ COMICS! Leave your comments over on the podcast post by clicking here! Ryan Daly continues his series of minisodes about the changes he’d make to DC Comics’ publishing slate in the fantastical future when he’s in charge. 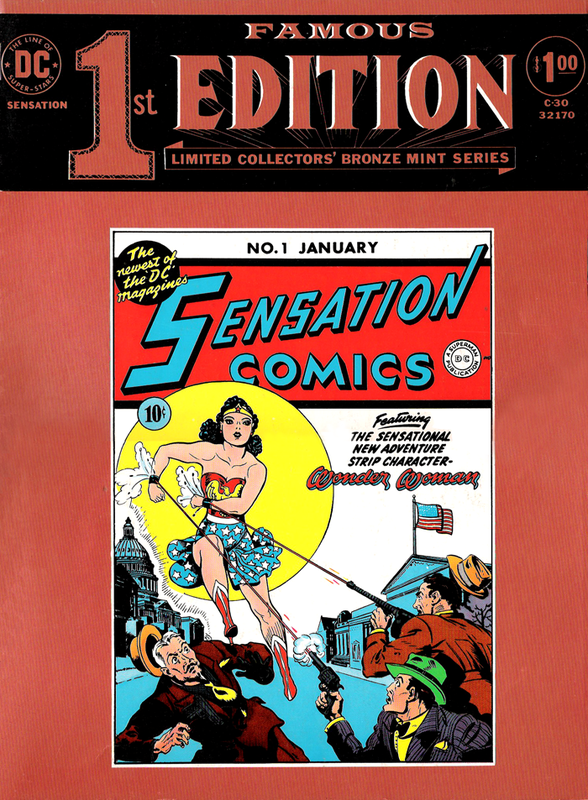 On this installment, Sensation Comics, Adventure Comics, and More Fun Comics. In this special “teaser” episode, Chris Franklin and Rob Kelly take a look at the first trailer for SUPERMAN: THE MOVIE! All aboard! Rob welcomes Brian Hall (MOVIEFILM PODCAST) to discuss Yeon Sang-Ho’s 2016 South Korean zombie epic, TRAIN TO BUSAN! 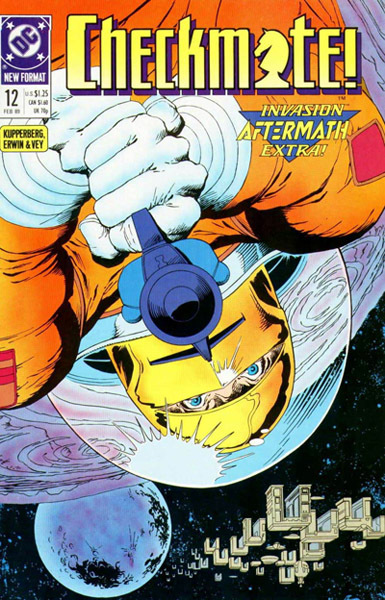 Bass and Siskoid tackle Checkmate #12 and a key space shuttle mission as we head into Invasion Aftermath. Plus, where are Batman, Green Arrow, John Constantine and the Question in this crossover? Listen to Episode 23 below (the usual filthy filthy language warnings may apply), or subscribe to First Strike: The Invasion! Podcast on iTunes! 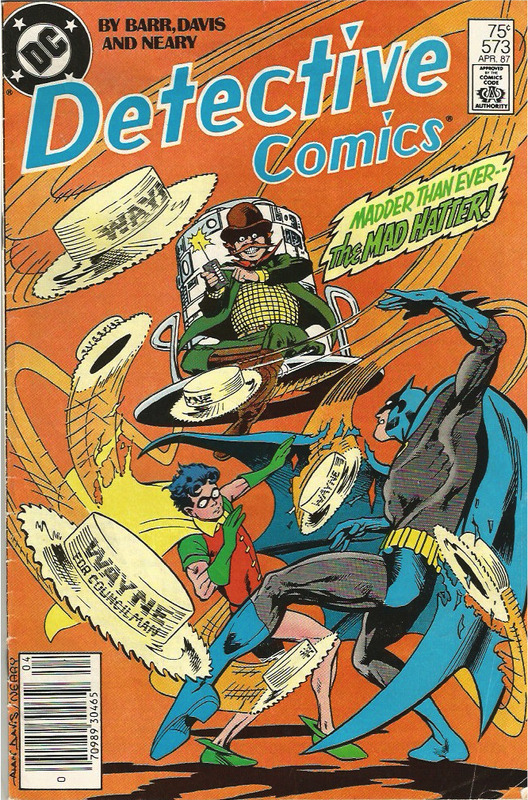 Chris Franklin and Ryan Daly try not to flip their lids over the Mad Hatter’s crazy continuity and this mad cap tale from DETECTIVE COMICS #573. Also, listener feedback from last episode. Music from the Batman and Batman Returns original motion picture soundtracks by Danny Elfman. Additional music: “Don’t Come Around Here No More” by Tom Petty and the Heartbreakers. Check out these images from episode 13 of Batman Knightcast! Detective Comics #573 cover by Alan Davis and Paul Neary. Rob and Chris are back with a new episode of THE POWER RECORDS PODCAST, discussing three audio adventures starring the Amazing Amazon–“The Secret of the Magic Tiara”, “Wonder Woman vs. The War God”, and “Amazons From Space.” Plus your Listener Feedback! Opening and closing themes courtesy Peter Pan Records. Thanks for listening! Drop the needle and turn the page!